13 x 13 Blue Ice Bouncer for any event in Lakeland, Winter Haven and all other Polk County Florida locations. Pick an art panel from any of our 13x13 bouncers and it attatches to the front for a party theme that will make everyone smile. 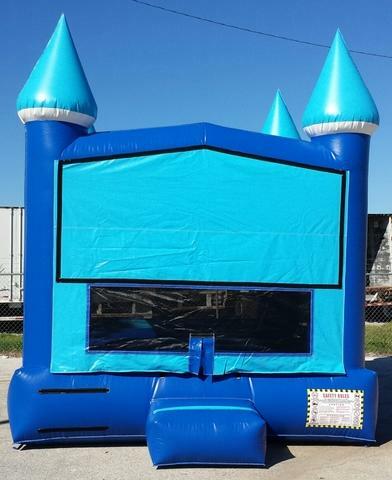 Unit in Blue And Light Blue with a basketball hoop and safety ramp so the liitle ones can enter and exit safely.